Offered at $2,650,000, this 3-bedroom, 2.5-bathroom condominium townhouse spans four floors and is located in Williamsburg. Featuring bright light and immaculate finishes, this condo additionally offers ceiling heights ranging from 9 to 11 feet and a 400-square-foot private garden with built-in barbecue. 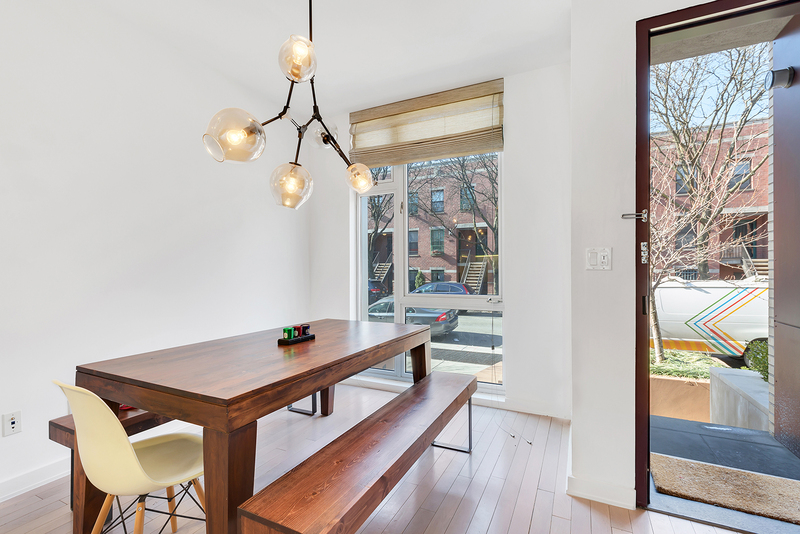 Don’t miss the chance for an open house tour of this Brooklyn home on Sunday!